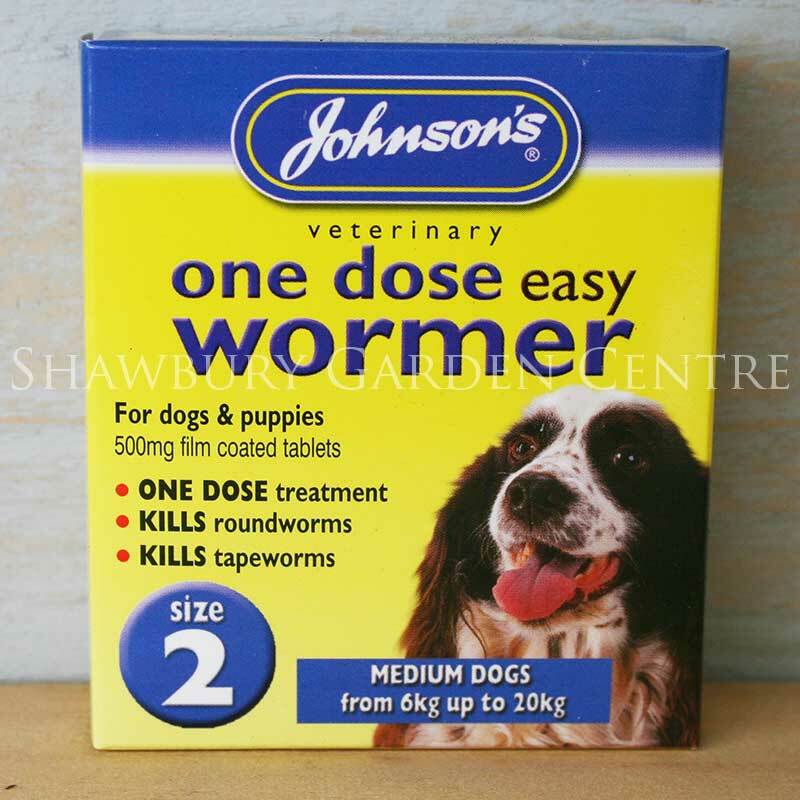 Johnson's one dose easy wormer tablets. 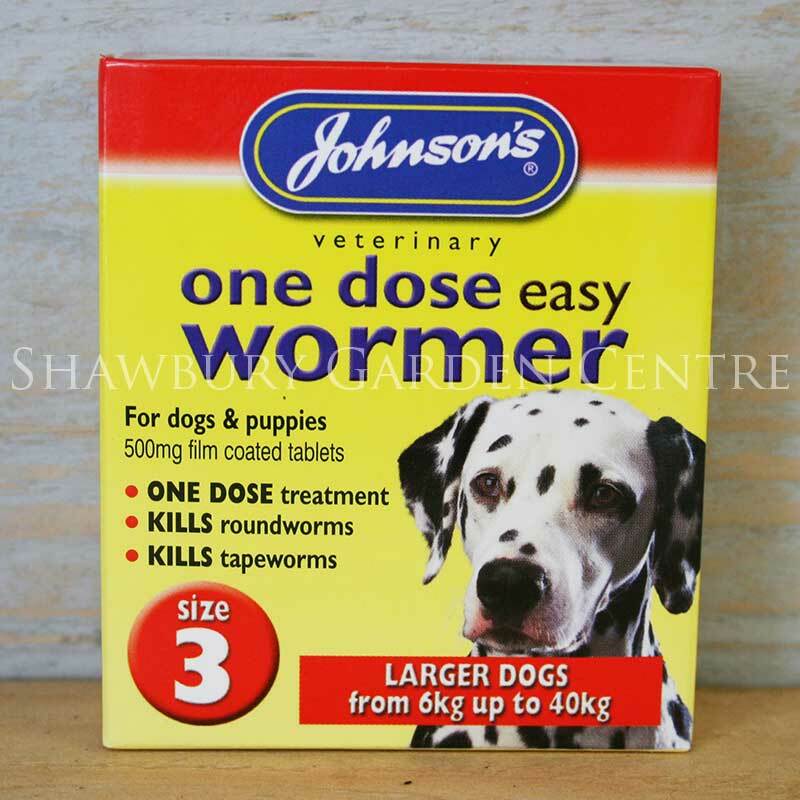 Pack of 2 x size 2 tablets for medium breeds of dogs and puppies from 6kg up to 20kg. 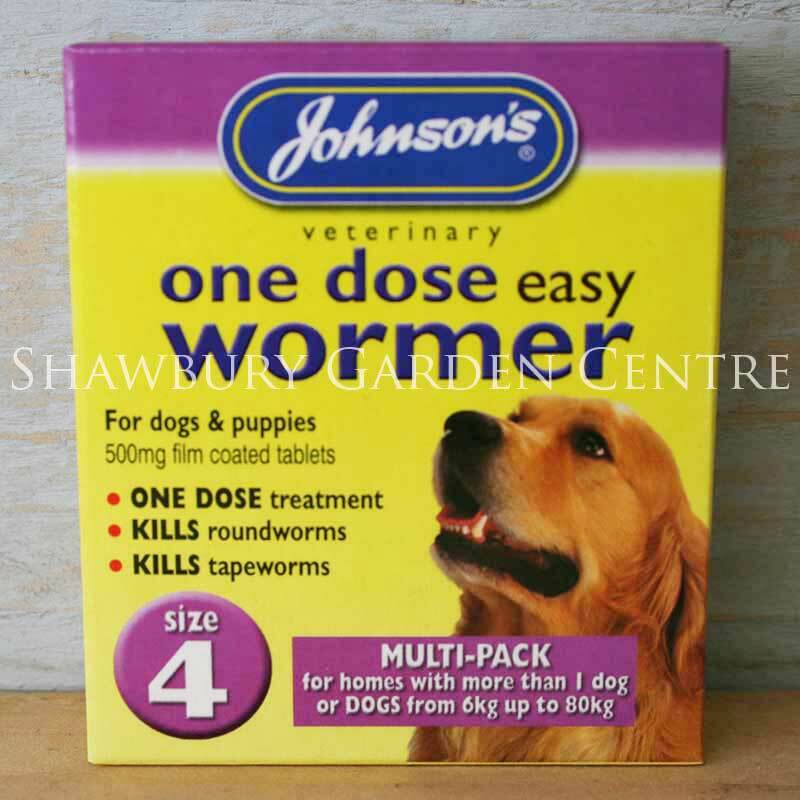 From the Johnson's Veterinary range of products, suitable for dogs and puppies. 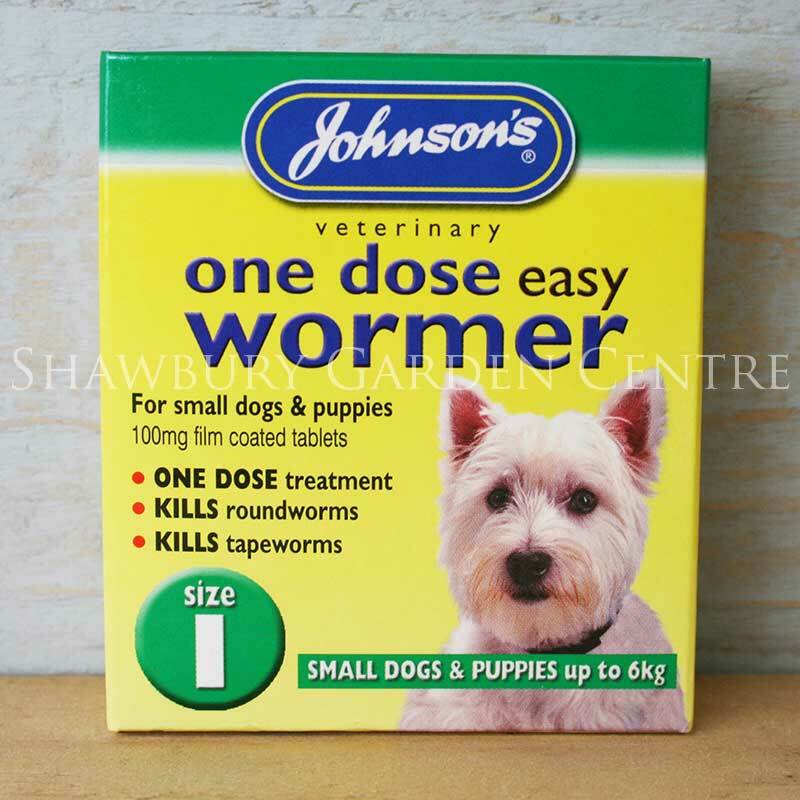 If you would like further information about Johnson's Veterinary One Dose Easy Wormer for Medium Dogs, please contact our garden centre at Shawbury just outside Shrewsbury in Shropshire, by calling 01939 251315 or emailing.